The Irish Traveller Movement raises questions as to how the story was prematurely reported given the rules and norms applicable to childcare and family law cases. According to latest Courts Service, figures some 7,744 Supervision Orders, Emergency Care Orders, Interim Care Orders and Care Orders were granted in 2012, few of which came to public prominence. The grounds for such orders are if a child has or is being assaulted, ill-treated, neglected or sexually abused, or whose health, development or welfare has been or is likely to be impaired or neglected, and where this will continue if a Care Order is not granted, no grounds exists to intervene and remove a child where her genetic / family identity is under query. 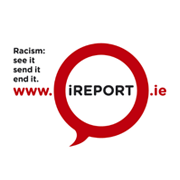 The Roma community are the most marginalised and discriminated group in Europe, should the outcome of this case find in favour of these families Ireland will have contributed to the systemic and predicable treatment of Roma, by stereotyping, racial profiling targeting and trial by ethnicity, without due care to process and procedure. According to Brigid Quilligan, Director of the Irish Traveller Movement: “Our primary concern is for the children involved in these cases, and for the way in which they were taken from their homes. This will resonate with an earlier era for the Traveller community in Ireland where only 20 years ago Traveller children were cruelly taken from their families on the perceived grounds of poverty. The legacy of that damage remains among many Traveller families today. Ireland’s record for child protection is a poor one, and while this investigation remains unknown the process under which these children were removed causes great concern to anyone who believes in the importance of ensuring a fair, equal and coordinated approach to investigations regarding children.